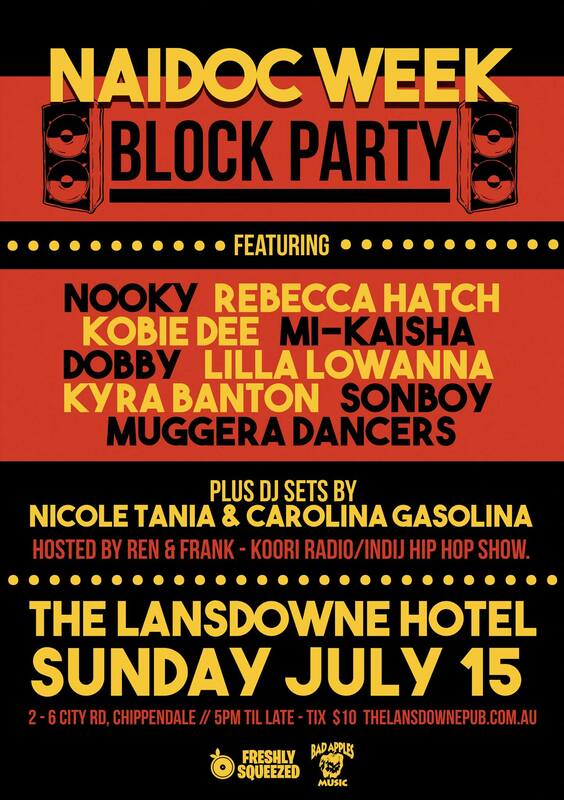 Continue your 2018 NAIDOC celebrations at The Lansdowne Hotel July 15, for a Hip Hop fuelled Sunday sesh presented by Nooky from Bad Apples Music. The NAIDOC Week Block Party showcases an array of artists including some of Sydneys Finest Indigenous live music acts. With so much deadly talent in the building, and partial door proceeds going towards the Ryan Selway memorial football team, this is set to be one massive event. Hosted by Ren & Frank from Koori Radio/The Indij Hip Hop Show.